Meshell Ndegeocello, Shakey Graves added to Bluesfest road show! After scaling enormous heights with album sales over 12 million (including the highest selling album ever to-date in Ireland with ‘White Ladder’), BAFTA, Brit and Grammy nominations, a Q Award, two Ivor Novellos and much more, David Gray returns revitalised with a new perspective, energy and new sound to take to his adoring Australian fanbase. With a loyal fanbase and a plethora of albums to enjoy, there’s no doubt tickets to see David Gray live in Australia this April will be in high demand. Quintessential Irish-American Celtic folk/punk band Flogging Molly is leaving California this April to once again dazzle Australia with their wild live performance tactics. Known for their distinctive fusion of traditional Irish music and often abrasive hard-hitting punk rock, their impassioned live show has won the hearts of many Aussies over the past two decades. They will continue in that vein, playing an assortment of shows in Adelaide, Sydney and Melbourne. Lukas Nelson, the son of Willie Nelson and friend of Bluesfest is returning to tour Australia with his band Promise Of The Real on the heels of tremendous accolades for his work on Bradley Cooper and Lady Gaga’s ‘A Star Is Born’ soundtrack. 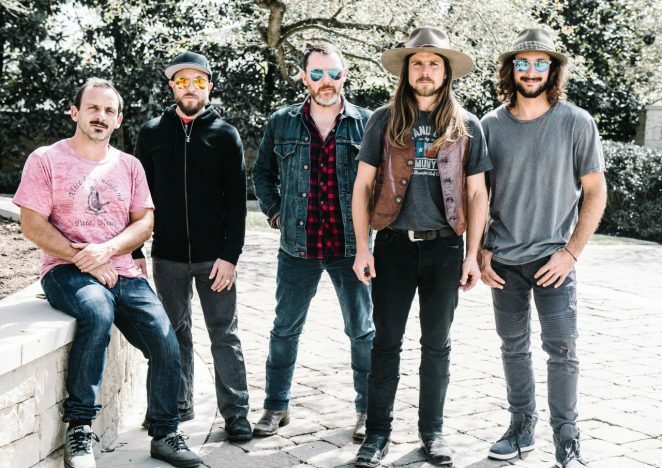 With a bounty of invaluable experience under their belt, expect Lukas Nelson & Promise of the Real to deliver an indelible blast of cosmic country-soul, the sound of American music will be reborn in Melbourne and Sydney this April. American singer-songwriter, rapper, multi-instrumentalist and bassist, Meshell Ndegeocello is coming to Sydney to perform a headline show this April. Over the past 25 years Meshell has received significant critical acclaim including 10 Grammy Award nominations and credit for helping spark the Neo-Soul movement. Shakey Graves a.k.a Alejandro Rose-Garcia was born in Austin Texas to a musical family and is best-known for playing a smoky, spectral fusion of blues, folk and rock in a stripped down one-man-band style established in 2007. His live performances can be deceiving. Up to now, he’s been categorized as an Americana singer-songwriter, thanks to his traditionally rooted songs, fluent acoustic-guitar picking, Texas roots and from wearing his cowboy hat, looking like a one-man country band. But, the tag will undoubtedly be dismissed as restrictive and irrelevant once discerning listeners hear his radical new album performed live in Melbourne and Sydney this April.